WITH more hawker stalls per square foot than any other place in the world, Penang well deserves the title of foodie capital of Malaysia (and some say South East Asia!). Both locals and foreigners alike travel to this bustling island city of 1.68 mil to sample some of its specialties – from hot and sour assam laksa to firey wok-stir friedChar Kuey Teow and cooling Cendol on a bed of shaved ice. Let’s see what they have on the island! Wewent food hunting according to a promotional pamphlet we picked up at our hotel – which brought us to Lebuh Kimberley in George Town. There was a famous curry mee stall there, but unfortunately, they only sold one item (curry mee… duh!) and Moo said she couldn’t eat it so we ended up going in a random coffeeshop instead. The place is called Sin Guat Keong and has a couple of noodle stalls on the inside. I ordered the wantan mee, which was Rm3.20 wtf. Noodles at this price literally do not exist anymore in Kuala Lumpur, where an average bowl is RM4.50. The ‘small’ portion was humongous and was topped with one piece of fried wantan (pork/shrimp dumpling), two boiled ones, bok choy and charsiu (roasted barbecue pork). Tastewise, the chef was heavy handed with the soy sauce but the noodles were otherwise decent. Parents had the Kuey Teow th’ng, a Penang specialty. This Hokkien dish is made up of minced pork in a clear broth, served with flat glass noodles, vegetables and fishballs – like Vietnamese pho. Again, the portions were ginormous and it only costs RM4. Talk about value for money! I found two familiar fast food chains on the island, which were housed in colonial-era looking houses. The first (left), Birch House, was a tin-smelting office built in the late 1800s by the British, back when they occupied Malaya. It’s interesting how the old and new converged together – a heritage building is now home to a modern, fast food chain. At night, we had our dinner along the famous Gurney Drive – a stretch of hawker stalls, shopping malls and entertainment along a rocky beach. Dozens of makeshift stalls are set up in a foodcourt, offering every sort of food imaginable. My parents, being fans of rojak, ordered a plate as a snack. 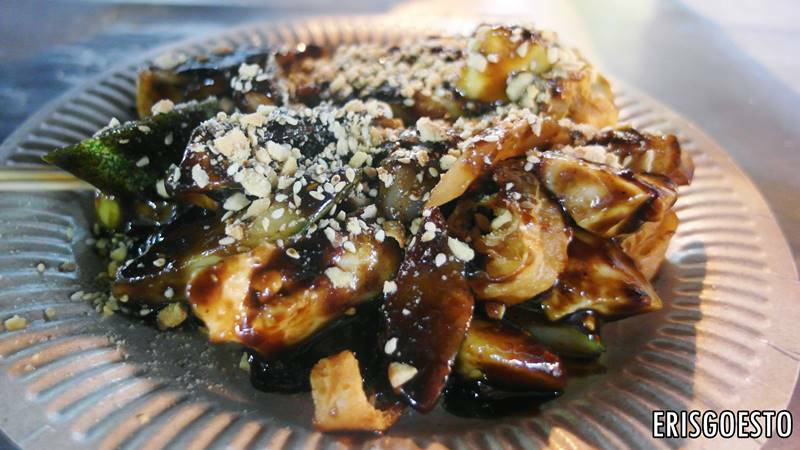 Rojak is a traditional Malaysian fruit and vegetable salad dish, but the version differs according to each race’s special preparations and ingredients. The one we had had slices of charkuey(crispy fried crullers), chopped peanuts and cucumber tossed in a thick, dark and gooey prawn paste which gave it a distinctly sweet flavour. Other versions have sliced vegetables in thin strips. The Rojak is the epitome of Malaysian culture – a mishmash of everything coming together to form a unified and harmonious taste. The term ‘rojak’ is also used to refer to the way we tend to mix dialects, be it from Malay, English, Chinese or Indian – into our daily lives. 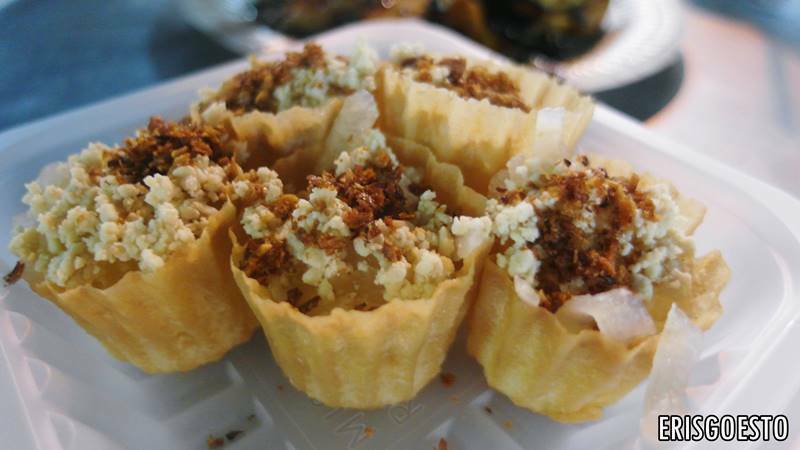 ‘Pai tee’, a Nyonya (Straits Chinese) dish with shredded and boiled turnip (sometimes with beansprouts) in a ‘top hat’ crispy cup, which acts like a pastry shell for the filling. It is then topped with crunchy fried condiments. I love the different textures in these bite-sized snacks, but the stall we ordered the first batch from was a rip off at RM5. I went to another stall and they sold the same portions/amount at RM2 less. So when you’re here, make sure not to settle for the anything less than the cheapest, since there are literally dozens of stalls in the area. 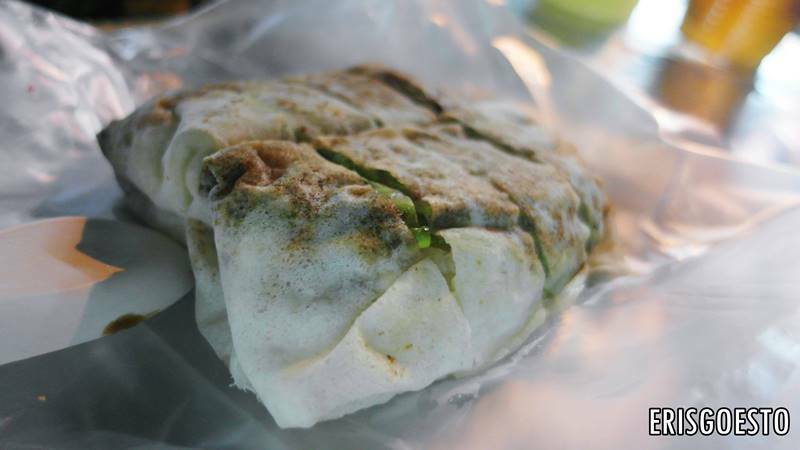 Popiah – rice cake rolls stuffed with shredded turnip, vegetables, chilli sauce and other condiments. Hungry yet? Head on up to Penang for a gastronomic adventure of your own!